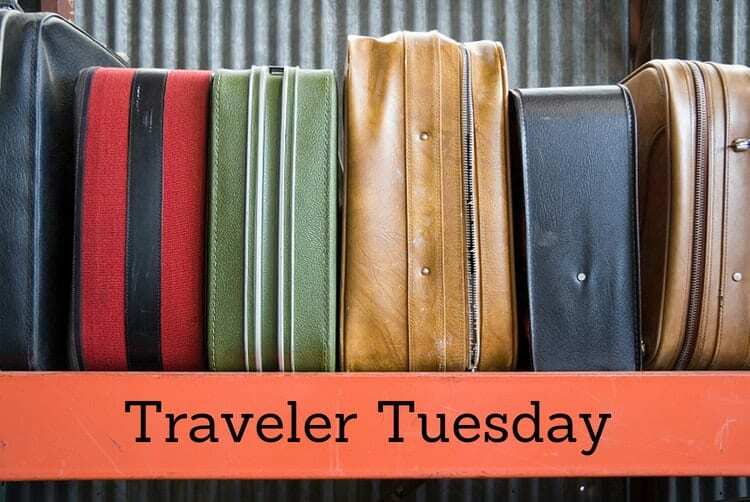 Back again for another addition of Traveler Tuesday, my weekly travel blogger interview series. I love meeting other travelers along their paths and get an understanding of who they are, where they’ve been and where they’re going! Today we have Diana from d travels round an ex-PR professional who gave it all up to travel, freelance write and become an advocate for elephants. When and how did you become a traveler? I guess I have always been a traveler. As a kid, my dad used to take advantage of our proximity to DC (I grew up in the metro area) so on weekends he would pop us on the Metro and take us for “adventures” around the city and surrounding areas. As we grew up, my family would go on longer trips around America, think Amtrak train rides up to Canada, along the West Coast, and more so it became something so normal and something we all did together and loved. What is travel to you in 10 words or less? Learning and living by a different set of rules. What is your favorite mode of transportation and why? That’s tough! It depends on where I am. In Western and Central Europe, my absolute favorite mode of transportation is the train. It is so enchanting to see the European countryside and small towns. In Eastern Europe, it is definitely by bus because the trains aren’t reliable and are often old and without air-con (a must during the summer when the trains delay on the tracks for hours at a time). In SE Asia, I prefer to see things via motorbike, even though I don’t drive one, it is amazing to be on the back and whir around. What do you typically do while traveling by plane? I knock myself out! I always have high hopes for my plane travel in terms of things I want to get accomplished, like editing my book, or writing posts, but the reality is, as soon as I hunker down in my seat, I watch a movie, eat dinner and then take a Tylenol PM (for the long haul flights). When I wake up, I watch more movies, read and then eventually pass out again. What is your favorite travel memory involving food? I was in Alicante and had the pleasure of meeting and spending time with the famous Chef María José San Román. She created an amazing coursed meal and sat with my friend and I while we ate and told us about teaching President Obama how to make palella and her love for the Spain World Cup team (this was 2010, right after they had beaten Portugal. Her food was simply sensational, likely the best meal I have ever eaten. What is one blogging tip or lesson that you have learned along the way that you can share with my readers? Don’t blog for any reason other than because you want to. Be authentic. And, know that there are far more bloggers out there who don’t get the free or make money than those who do. I am headed to World Travel Market in London this November. Before that, I may take a little mini-vacation for my birthday to an island in the south of Thailand. We shall see. Diana Edelman is a travel writer currently residing in Chiang Mai, Thailand where she works to promote responsible elephant tourism with Save Elephant Foundation. 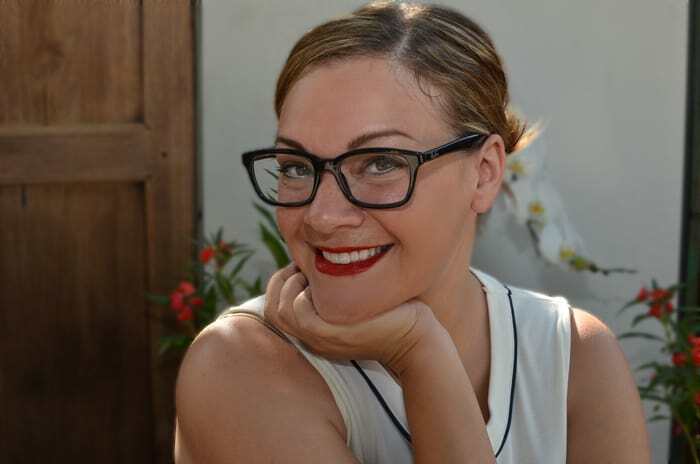 She is the pen behind d travels ’round, her Web site which combines her travel narrative as she explores the world solo, her experiences as an expat, plus information about responsible tourism, destination highlights, travel tips and reviews. You can find her on Facebook, Twitter, G+, Instagram and Pinterest. How about you? Any questions for Diana? thanks Diana, i am so jealous of you! I lived in the D.C. area for about 11 years post-college. I was lucky to always be a traveler too, thanks to my parents. I would love to travel more! Yay!! The great Diana on one of my very favorite sites! D taught me everything I know – and I was so honored to get to see her at work with her elephants last fall. Heehee – I do remember though when Spain was a place she expected to just glaze over… Until she fell in love! @Abby, cool knowing cool people, it’s what makes the world go round! I probably could never be a travel blogger but I always envy those who are – and does a lot of travels in their lives. I wish I had the time and money to travel more. @Robin, time is definitely the tough one, but I think we can explore so much in our own backyards and it doesn’t necessarily need a bunch of money! This makes me want to travel. To take a train, then hop on a motorbike, go for a hike, and just explore and see and experience. @Kenda, I hear ya, it is addicting! This is a great concept for a weekly feature. I enjoyed “meeting” Diana. 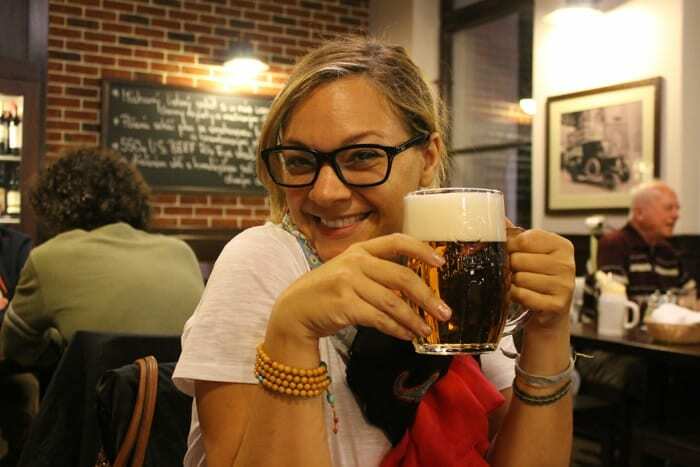 She had some really great things to say about traveling – I liked what she said about riding the train in Europe (it’s my favorite mode of transportation, too) but now I know not to do it when I venture to eastern Europe. Thanks for sharing this, and also leading me to her site! @JoAnna, I am so glad you like the series! Being that you are a travel blogger too, I am happy to have you as well! Just send me an email at MisadventuresWithAndi AT gmail DOT com and I can send you the questions. What a lucky woman to be able to travel the world. I would love to be able to do that and experience different cultures and countrysides, too. @Danielle, there are different cultural experiences all over without having to cross the other side of the world, that is what I love about exploring. I think being a travel blogger is very interesting.. you get to see all these cool sites! @Kungphoo, there are cool sites everywhere in the world so anyone can be a travel blogger! I love everything about this! I love that you’re sharing a beer and conversation with a fellow traveler. I love this series. And I love that she is advocating for elephants! @Lavende, thanks so glad you like it and Diana is a pretty cool chick! I always was a traveling lover. I am a horrible traveler, and a horrible person to travel with. I’m so high strung, maybe if I were better prepared I would be a little friendlier. @Nina, maybe a little alcohol or Calm’s Forte would make it easier for you? @Erica, I do the same! I’m a bit envious. I would love to blog about travel adventures. I will come back to read more! @HiLesha, uh-oh that is dangerous! I grew up the same as an Army brat and I have had the traveling bug since birth! I am scared of heights, therefore, my plane ride is always adventurous. I like to read as well and I try not to fly no more than 4 hours after this my anxiety set in. @Tamika, my best friend is exactly the same, just takes lots of practice to get used to it! I am so jealous of Diana, I would love to travel but my bank account doesn’t support it. @Melissa, travel can mean to the next town over as well, there is always things to see in our own backyards. Travel can be expensive, but I always find a way to get our and explore even if it is just right next door! I also would love to be a travel blogger. Wow, Diana has been travelling by train up the west coast of Canada and I haven’t and I live in Canada! @Lori, I want to do the train ride from Vancouver to Toronto, I think it would be a lot of fun and a great opportunity to see lots of Canada! I love these photos. They show that you really love what you do. I’d love to travel by train car across the European country side one of these days. It’s good to know that all of Europe isn’t the same when it comes to traveling by train. How fun! I highly recommend Thailand and have always had London on my wish list. Hope to get it crossed off someday. @Andrea, what do you like best about Thailand? It would have to be a tie between the fresh fruit and food and scuba diving! I spent a lot of time exploring the islands and enjoying the beautiful beaches of Koh Tao. @Andrea, ah the fruit, so delicious! And don’t get me started on the food! My first husband was Thai and his family immigrated to the San Francisco Bay Area when he was in grade school, my parents-in-law loved me because I ate everything they made with such gumption! I love Thai food!